Cassie & Company: On Mothering: 24/7 Mom? 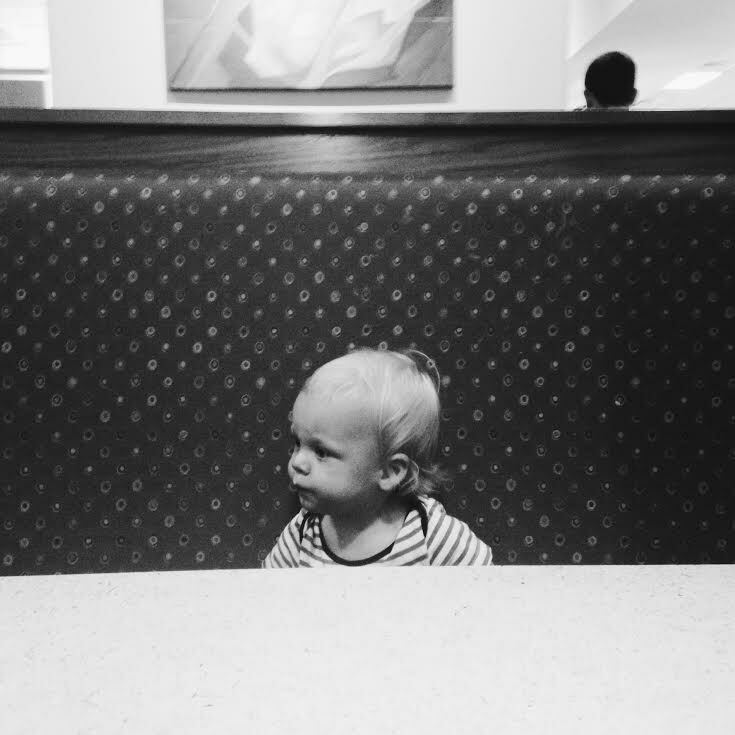 Remember how I wanted to start an On Mothering series on the blog? Here is the first post, who is up for round two!? During my days with Everett I really really try to make the days fun for him and be with him. I try to not have the TV on when he's awake, I try to only check my instagram when I am putting him down for his nap and if I have to run errands in the morning or something, I feel guilty and try to do something fun for him like the park or the pool or something in the afternoon. Ben is the same way, when he is home, he is constantly hands-on with Everett. We schedule our lives around his naps and bedtime. I feel serious mom guilt if I hand him the ipad so I can do the dishes or get ready for the day. I'm not saying this to be braggy AT ALL, I am saying this because I am honestly wondering if this is the best way to parent. And of course, I am not perfect at being this 'present' mom, I check my phone when I shouldn't and at the end of the day, I am sometimes so burnt out of doing the same things over and over again and entertaining him in any way I can that I turn into zombie mom and lose my patience easily. Everett is literally never alone. I am constantly watching him, playing with him, ENTERTAINING him 24/7. Everett is also a really clingy baby, he is really attached, has some major stranger anxiety and has never had a babysitter while he is awake since he was 2 months old because he cries and screams when one of us even leaves the room. So I am wondering if basically I created this behavior? Or at least enabled it? All of you are probably nodding your heads and like 'duh'. But I would have never thought that being an attentive mom, spoiling him with my attention could be a bad thing? Right? But is he not learning independent play because he has no need to? But is independent play really that important? I guess I am just thinking aloud and don't really have the answers. Of course, it's probably all about chasing that elusive 'balance'. The balance between letting them learn how to entertain themselves/learn things on their own and being a 'present'/hands-on parent. And the balance for myself, between being a mom and being my own person; and maybe not feeling guilty when I take Everett on errands or things that needs to get done. He will have to come run errands with me for the rest of his life so he needs to learn things like how to behave in a store and patience. Right? The other day at the park I turned away for a second and when I looked back Everett had climbed these big blocks to the top of the playground. The blocks that I had walked him up and helped him get up every time before. I couldn't believe he did that without my help, that he knew how to do that. Then he continued to sit down, scoot forward and go down the slide ALL BY HIMSELF!! I probably never would have figured out he didn't need my help if I didn't accidentally let him try. So I took a step back and let him do his thing-Then he fell off the rope structure and started bawling hahaha....see! balance!? Anyways I guess my conclusions are that yes I need to be present in Everett's day-to-day, I need to let him know that I am there for him to play with and read books with and for comfort when he needs it. I also need to take a step back sometimes and let him learn and do things for himself, to let him try and play with his toys on his own for 20 minutes while I check stuff on the computer. I need to take a moment for myself sometimes too if I am running on empty or can't blow bubbles ONE more time! Part of this is the first time mom talking. I will probably look back at this post in 10 years with three kids who are rolling in the dirt somewhere and laugh because it will seem crazy to me that I spent every waking moment with my one child, giving them all attention in the world because 'ain't nobody got time for that' these days. But seriously, what do you think, any moms have thoughts on this? Is it our job to entertain our child every hour of the day or not? 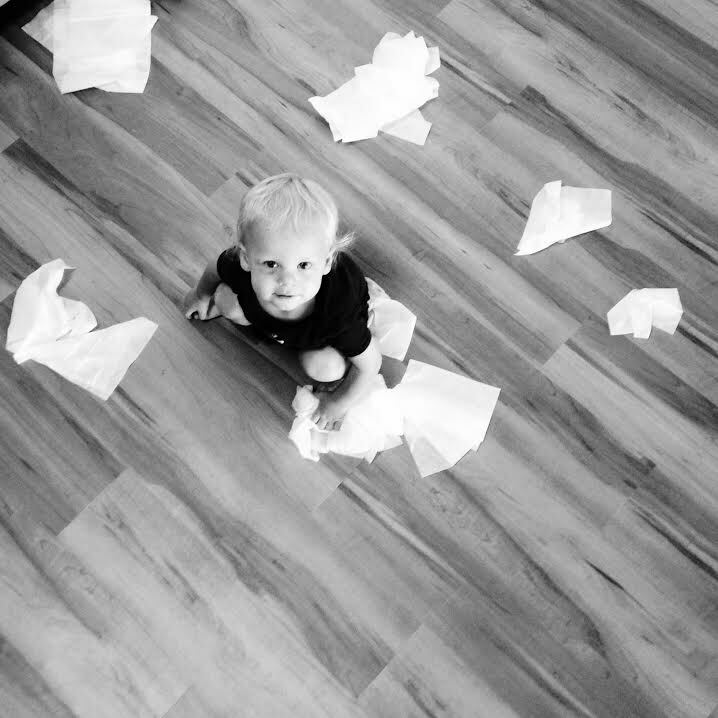 Should we feel guilty for making our child play by himself for an hour? Are we just lazy or are we teaching him important skills? I love this! I think it's totally important to be there with your child and play with them, and let them know you're there if they need you. But I equally think it's important for them to learn to be alone and entertain themselves. When I'm getting ready in the morning, I leave my daughter on the playmat in her room and let her play with her toys. I also try to be really hands on, but I want to instill in her that she doesn't need me all the time. (Of course I would love for her to always think she needs her mom, haha!) I think that will make it easier for her to be more independent as she grows up, and be able to leave her with a babysitter so I can get out on a date with my husband! I think you need a good mix of both, but it's so hard to tell which is the correct amount. Am I being too hands on, am I not paying enough attention? It's stressful for sure! But either way, I promise Everett is going to be totally fine as he grows up- especially with parents like you & Ben! love this. Abby is 19 months and Bethany is 2 months right now. and you're right though I don't have 3 only 2 but I can't believe I ever had the time to just sit and play and be 24/7 devoted to Abigail and it's a really hard adjustment LOTS of mommy guilt lol. I wonder the same exact thing! Mentally, I just can't sit and play with him all.the.time. I feel really guilty about it, but my non-play time is usually taken up by cooking or cleaning or I throw him in the stroller for a walk. Balance is hard, and definitely impossible lol.